As if we need another reason to love Wegmans, the Mid-Atlantic supermarket chain now has an assortment of fresh gluten-free treats in the Bakery departments of all stores. 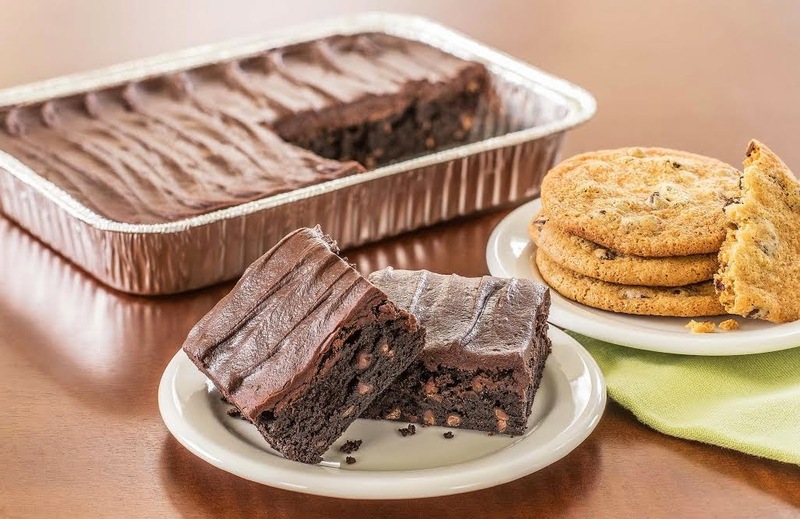 All of the treats are baked and packaged in a dedicated gluten-free facility to prevent any cross contact with gluten-containing foods or ingredients. Decadently Rich Chocolate Brownies: Loaded with chocolate chunks and topped with a luscious chocolate buttercreme frosting. They’re packaged in a shrink-wrapped box. Chocolate Chip Cookies: Made with semi-sweet chocolate chips, brown sugar, a touch of honey, white rice flour, sweet rice flour and cornstarch. Each cookie is individually wrapped in cellophane. Snickerdoodles: Same delicious vanilla flavor as Wegmans Gluten-Free Sugar Cookie baking mix. These are rolled in cinnamon sugar, and each cookie is individually wrapped in cellophane. Cupcakes: The four-pack contains two vanilla cupcakes topped with premium vanilla buttercreme frosting and two chocolate cupcakes, frosted with rich chocolate frosting – inspired by and very similar to Wegmans’ Ultimate Cupcakes. The package is shrink-wrapped. Wegmans has partnered with Get Fresh Bakehouse in Fairfield, New Jersey to supply the products for all of its stores. At Get Fresh Bakehouse, a pastry chef trained at the Culinary Institute of America oversees the production of the gourmet sweets coming from the dedicated gluten-free facility.